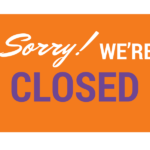 In order to allow our associates to spend the holiday with their families, we will be closed in observance of Easter. 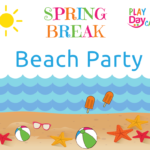 Join us for our Spring Break Beach Party! Daily activities to include beach party music, crafts and themed menu items in the café this week. Crafts are included with admission! 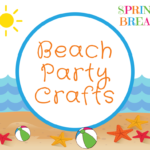 Our Party Team will host Spring Break Beach Party themed craft sessions! Crafts are included with admission! 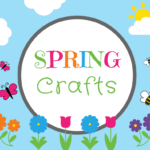 The Play Day Café team will host Spring themed craft sessions! Join us for an interactive reading of some of our favorite Spring books. 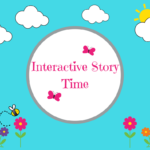 Story time is included with admission. 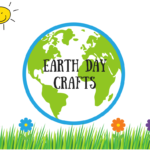 Join the Play Day Café team in celebrating Earth Day! Crafts are included with admission. 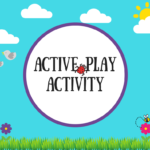 Join the Play Day Café team for active play fun! 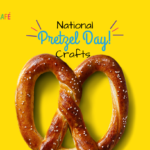 Join the Play Day Café team in celebrating National Pretzel Day! Crafts are included with admission.